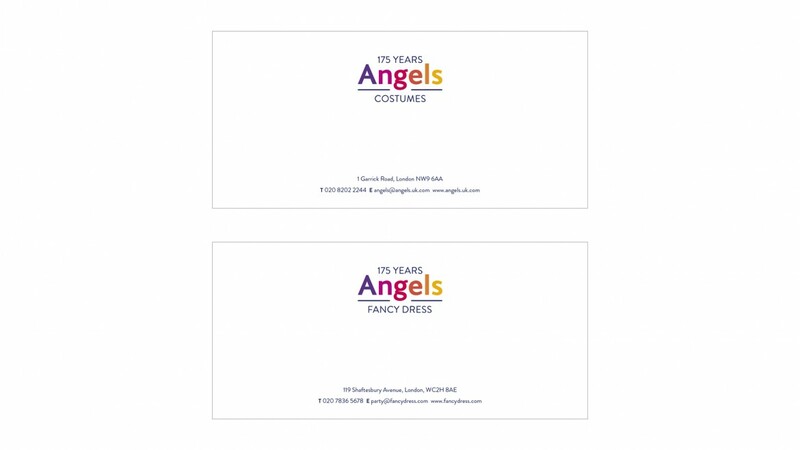 We have created a new logo and identity for Angels Costumes. 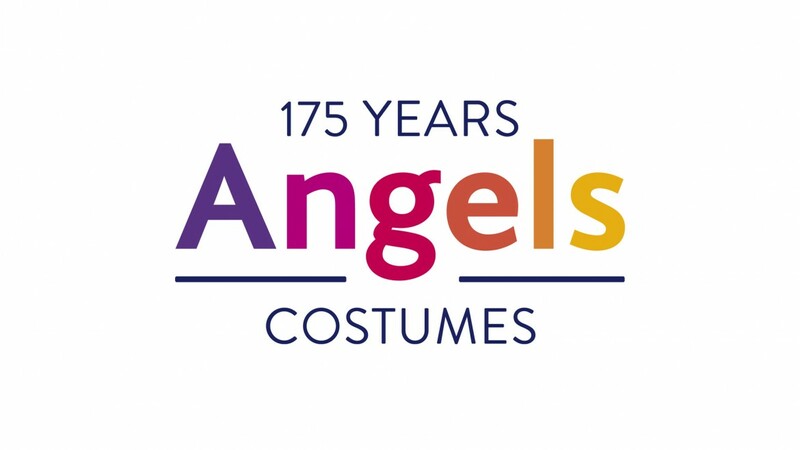 You can read the full story of the new logo for this fascinating, 175 year old company in our blog post: A New Logo for Angels Costumes. Our logo is a simplified, modernised version of the company’s best-known former logo which you can see below left. 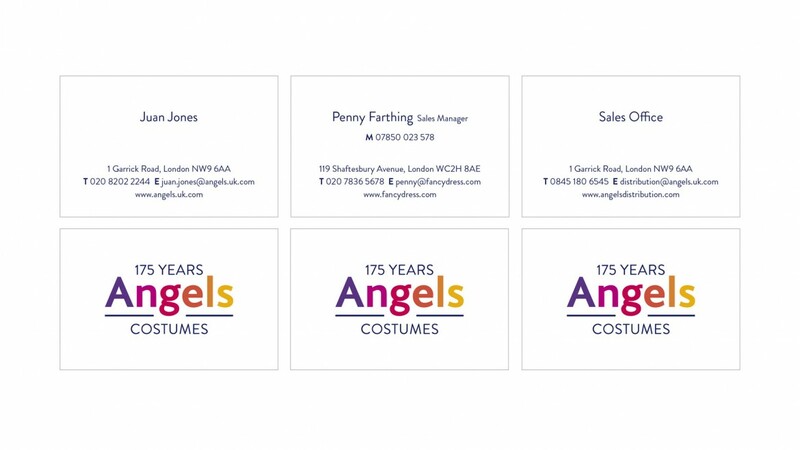 The rainbow of colours suggests variety (there are eight miles of clothes racks), show business (Angels is the biggest costume supplier to the film, TV and theatre industries) and fun (the company supplies more fancy dress costumes than anyone else in the UK). 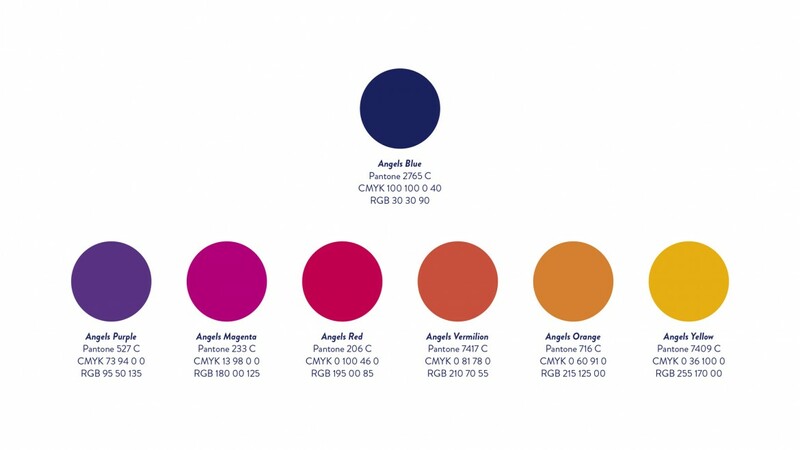 We designed minimal, centred information layouts to accompany the understated logo. 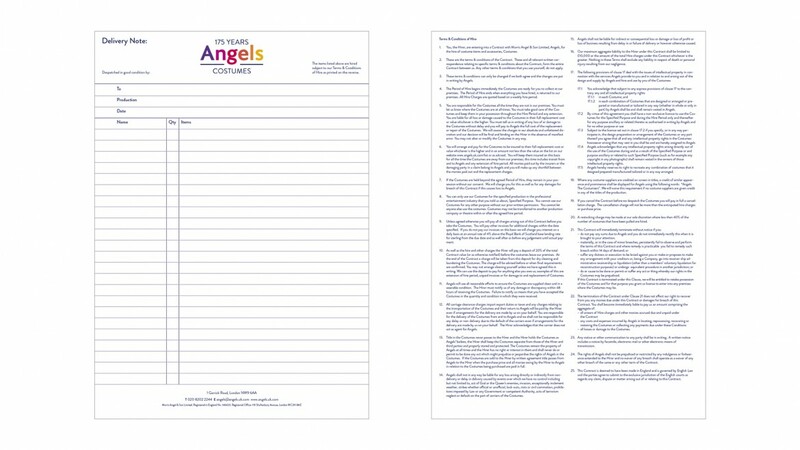 Here are some examples of the system in use on the stationery. 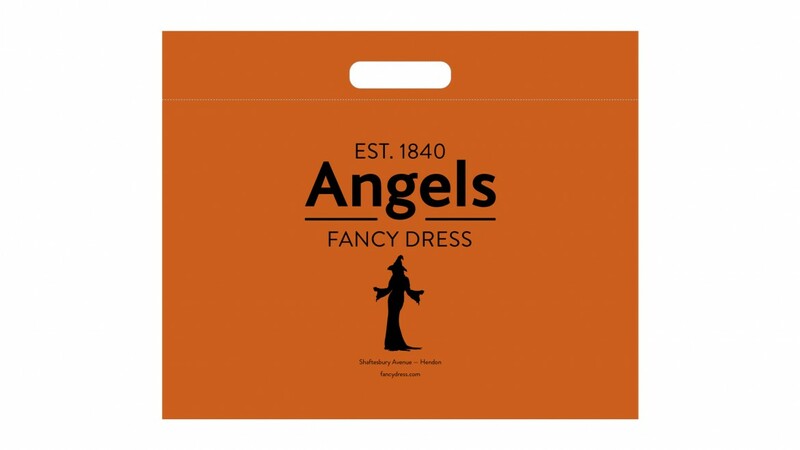 We maintained two longstanding Angels traditions by incorporating a fairy on the Fancy Dress bag and by designing the Halloween bag in black and orange. 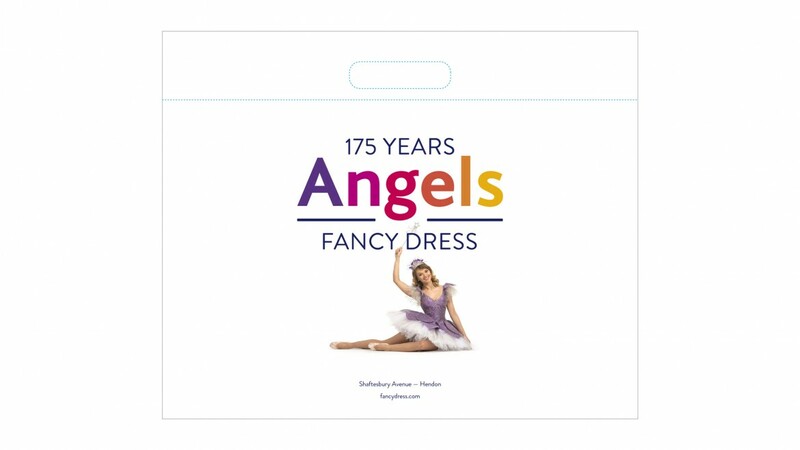 Carrier bags are an important marketing tool for the Fancy Dress side of the business, especially at Halloween, when thousands of people enter the Shaftesbury Avenue shop every day. 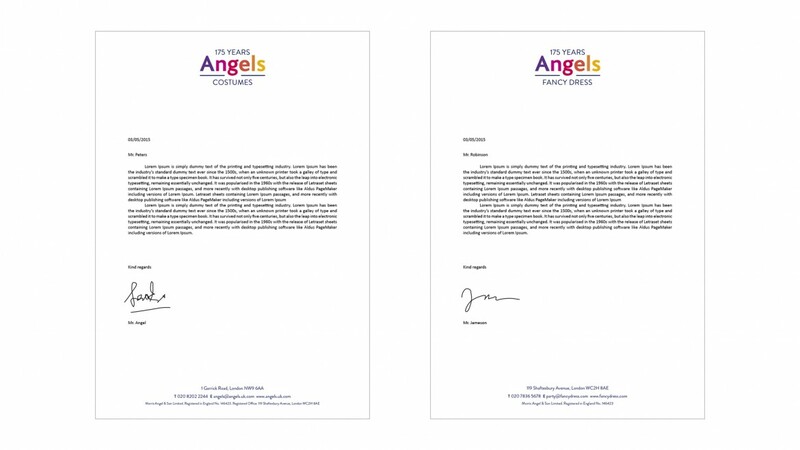 A special thank you goes to our friend Marcus Exall for bringing us together.